Most people remain blissfully unaware that their attic and crawl space is contaminated with potential dangers lurking until the problem becomes serious. Periodic inspection is essential to prevent this menace. Timely action will ensure your premises remain clean, safe and hygienic. Do not wait! Call Quartz Solutions to effectively eliminate the issues in your attic and crawl space with the latest cleaning techniques. The unknown threats can cause extensive damage that is not easily visible to an untrained eye. If neglected, the attic and crawl spaces may lead to a situation which will cost you a neat packet. Faulty insulation and leaky duct systems can increase power bills and lead to the spread of dangerous microbe right through your living environment. 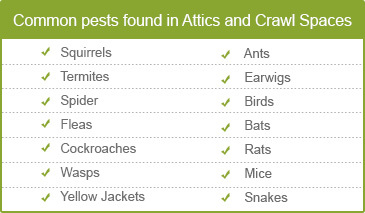 Wasps, roaches and termites are hazardous insects that bring disease and devastation into your home. Rats and bats can ruin structural components, insulation and cables, triggering an unhealthy clutter. Excessive moisture breeds mold and mildew that invariably sneaks into living areas. Moisture tends to foster wood rot, which in turn causes structural damage. The first step towards maintaining a clean and hygienic attic and crawl space is to closely review the area. The inspection may even involve checking for radon gas, a known carcinogen. Our team of experts will drop in your home or business locale free of cost for a full analysis. Once the extent of the problem has been evaluated, they will advise remedial cleaning measures to address the problems at competitive rates. We understand the value of hard earned money. 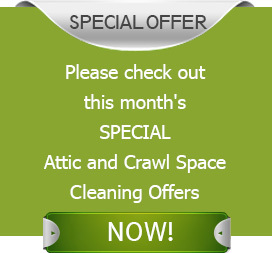 Our skilled staff will offer high-quality service, latest techniques and safe cleaning solutions to your attic and crawl space problems at a fair price. Randolph town in Morris County, New Jersey is beautiful! At Quartz Solutions we realize how disturbing the discovery of any kind of danger to your residence can be. We want to help families stay safe and comfortable in Randolph Township. Residents can be at ease, knowing that our specialists will rid their attics and crawl spaces of any threats. This is our small contribution to keep both residential and commercial set-ups well organized. Call Quartz Solutions today at 973-536-1013 to schedule a free inspection and consultation.